There are plenty of reasons why you may want to replace your garage door. For the most part, we get people that are looking to update the design and overall look of their door. We have had other instances where people are literally being forced to replace their doors because they encountered some sort of incident that ruined the previous door that stood in place. Whatever the case may be we want to go through some of the questions and processes that we will normally ask and go over when you give us a call regarding one of our garage door services! Is There Any Damage To The Original Structure? We don’t want to be too nosy here, but a lot of times we have to know whether or not there is damage to the original structure. The presence of damage to the original structure could really alter the type of work that we are going to have to perform on the door. If there is no damage and all you really want to do is replace your existing door with a new one then the whole entire process can be taken care of fairly quickly. 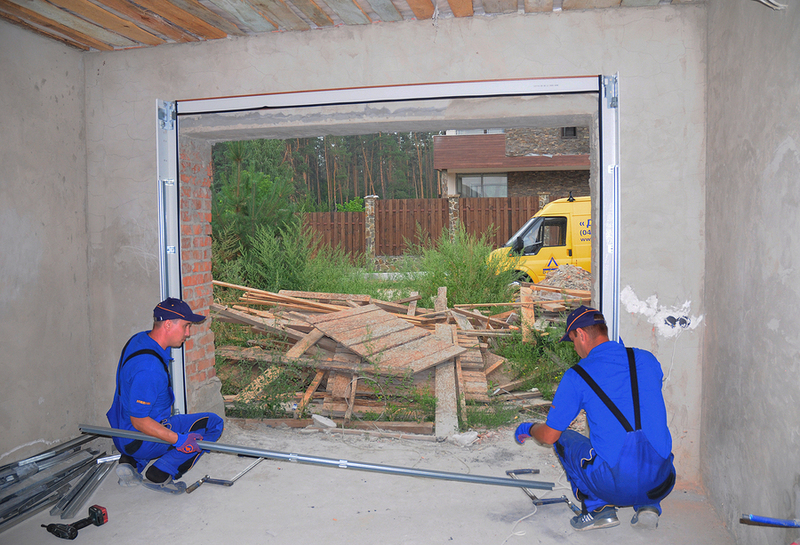 We are sorry if you are someone that is a little more familiar with the way that garage doors work. You may find that what we are going to say is probably going to seem repetitive, but we just want to be clear with all of our clients, so that we can get on the same page. This part of the service is in charge of fixing the existing frame on the door to make sure that we can fix any dents or different issues that could have occurred if the reason you are replacing your door is the fact that it was run into by a vehicle. If you are looking to install a different type of garage door entirely we can also help out with that! For the most part, this process is fairly simple, especially when we are talking about traditional garage doors. We will take the different pieces of the new door and attach them to the frame. Then, what we will do once we feel that we have done this properly is run a couple of tests with the opener system to make sure that the door is working as properly as its predecessor did. An important thing that we want to point out is that if the door is being replaced because of damage to the previous door we cannot rule out other forms of collateral damage! A lot of the concepts that we throw out there are usually considering that we are working on traditional pull-up garage doors. That does not mean though, that we have not worked on other doors. If you have a very unique door that you want us to take a look at don’t hesitate to give us a call!